“If you are expecting SpaceShipTwo to blast off and head straight to space on the day we unveil her, let us disillusion you now: this will be a ground-based celebration,” the statement read. “Indeed, our new vehicle will remain on the ground for a while after her unveiling, as we run her through full-vehicle tests of her electrical systems and all of her moving parts. Testing and safety are, obviously, critical, especially in the wake of SpaceShipTwo prototype VSS Enterprise breaking up in-flight two years ago, killing one pilot and injuring another. SpaceShipTwo will be the second unveiling for Virgin Galactic this year – a prototype spacesuit created by designer Yohji Yamamoto and sportswear company Adidas was shown off last month. 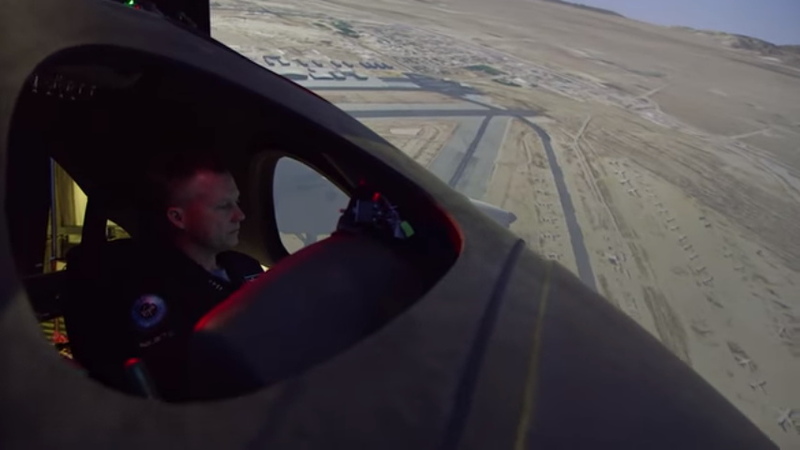 Image: still from Virgin Galactic promotional video.